Shimmerz Paints: Make Your Halloween Shimmer! Today, I'd like to share a project I did for one of my Pink Paislee assignments recently. 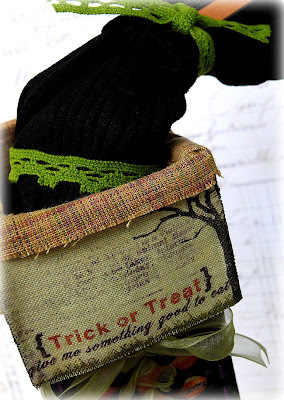 A witch's boot to hold some yummy Halloween treats. For this project I used the Bamboo Leaf, Shimmerz Spritz. Below, you can see the front of the boot after it was sprayed with the spritz. 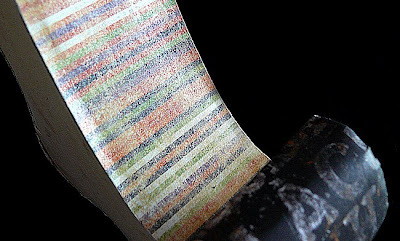 When the the rest of the boot is covered with patterned paper and chipboard, the paint adds a lot of contrast and interest to the project. 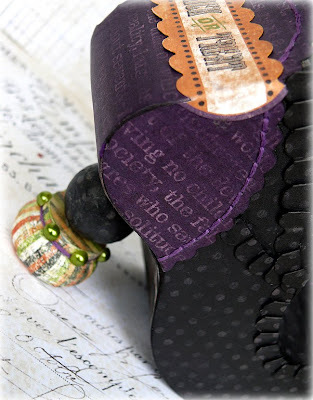 Next, you can see my favorite part of the boot, the heel. The spritz gives it a really pretty, greenish-gold shimmer and really makes it pop!! The fabric patch on the cuff of the boot, was originally a cream color. I wanted it to match the color of the sheer ribbon, so I applied a couple coats of the spritz, until I was happy with the color. If you would like to see the instructions on how to put this together, you can go here for details. Thanks for watching me SHIMMER today! This is AWESOME!! Very creative! That is just over the top!! Love it! you know how much I love this project! Fabulous! Very "Out of the Box". I love it! Great job. LOVE this! 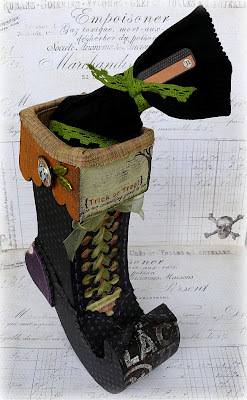 Hope I can make a witchie boot for Hallowen! the shimmerz really do show off the best in a project. Join other successful merchants and offer Shimmerz for sale in your store. For wholesale inquiries, visit our website! ShimmerzTM is a Registered Trademark of Shimmering Products, Inc.
All the materials posted here are Copyright 2019 Shimmering Products and/or their respective owners.